1. The article should meet the thematic areas of the journal, be relevant and contain theoretical or experimental research findings. • conclusions from this study and the prospects for further research in the relevant field. 3. Languages ​​of publication – Ukrainian, English. 4. 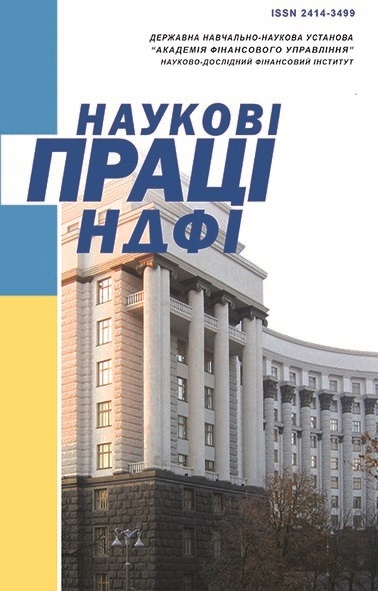 Materials should be sent to the editorial office by e-mail: zb_ndfi@ukr.net. 5. The length of the article shouldn’t be more than 20 A4 pages, typed in the MS Word, font “Times New Roman”, size 14, line spacing – 1.5, all margins – 2 cm. 6. The article must contain the UDC index determined by the Universal Decimal Classification tables (placed at the beginning of the article) and the JEL Classification code determined in accordance with the classification system developed by the Journal of Economic Literature (placed under the keywords in English). 8. The title of the article is given in Ukrainian, English and Russian, should be brief, accurately reflect the content of the article, not contain abbreviations and phrases such as “Some questions …”, “To the problem …”, “Study of the issue …” etc. 9. An abstract in Ukrainian and Russian languages ​​between 100-150 words in content and presentation should comply with DSTU GOST 7.9: 2009 (ISO 214-76), be structured, concise, informative (does not include general phrases), meaningful (reflects the contents of the article and research findings). 10. An abstract in English should be written in accordance with the requirements of international science-metric databases [requirements for English-language abstracts], original (does not copy the abridged Ukrainian-language abstract), between 250-300 words (actually a summary), contain a brief structured presentation of the article, a general description of the problem in question, the objective of the article, research methods, the main scientific findings and their theoretical and practical significance and conclusions which could be accompanied by recommendations, assessments, proposals, hypotheses given in the material. 11. Key words (from 5 to 8 words and phrases) are given in Ukrainian, English and Russian. 12. Presentation of the article should be clear, structured, not overloaded with graphical material, tables and formulas, avoid repetition in the text of information included in the tables or illustrations (at the same time, an analytical commentary should be given to it). In the text of the article, all statistics, tables, illustrations, quotations should be supported by references in the square brackets to the source numbers from the list of references, indicating the pages to which the author refers (for example: [1, p. 25], [2, pp. 46-48]). References to out-of-date publications, educational and popular scientific literature and one’s own publications are undesirable (the latter are allowed only if necessary). To increase the level of the article, one should refer to foreign scientific sources and periodicals included in the leading international science-metric databases (SCOPUS, WEB OF SCIENCE, etc.). 13. A list of references is given after the text of the article and includes only the publications mentioned in the text in the order in which links to them appear. All sources should be written in the original language, without translation, and give a complete bibliographic description, drawn up in accordance with the requirements of DSTU 8302: 2015 “National standard of Ukraine. Information and documentation. Bibliographic reference. General provisions and rules of compilation”. 14. 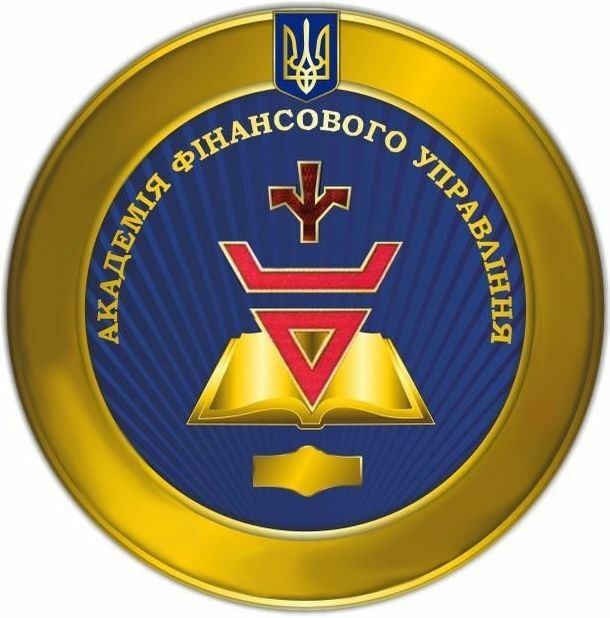 References – a list of used literature transliterated in Roman alphabet (Latin) (standard ISO 9, ssystem B) and drawn up in accordance with the International bibliographic standard APA-2010 must be given after the Ukrainian-language list of sources. References to English sources are not transliterated. 15. All tables and illustrations should have a sequence number, a brief title, clearly reflect their contents, symbols and measurement units of all indicators, as well as references to the source of information which they are taken from or based on (or it should be indicated that they are independently made by the author). 16. Graphs and diagrams must be made in the Microsoft Excel, and the corresponding files are added to the main file of the article. It should be remembered that the publication is black-and-white, so all graphs must be accurately and clearly seen in the black-and-white version, and the elements that show different indicators are designated by different shades of grey (rather than by background plates), which improves the user’s perception of the publication. 17. Articles that do not meet the requirements listed above are not accepted for registration. 18. The Editorial Board reserves the right to edit, cut articles, return them for revision and reject them in case of negative review. 19. Authors of publications are fully responsible for the reliability of actual and digital information, proper names, geographical names, citations and other information. 20. Publications of the edition are protected by domestic and international law and cannot be reproduced in any form without the permission of the publisher. 21. Publications in the edition are free. Fees for the articles are not paid. Each author receives a free copy of the publication for free. 22. The last page of the article should contain verified with signatures of the authors (in the scanned format) confirmation of the originality of the research, absence of plagiarism, the authorization necessary for using copyrighted materials in the article, and that the article is prepared specially for the journal “Finance of Ukraine”, has not been published earlier and is not available in other publications. 23. Along with the article file, the author must send to the editorial office the license agreement and permission for processingsigned by him/her (a scanned copy is allowed), including the distribution and provision of access to personal data to third parties by publishing on the information-analytical web portals of editions his/her personal data (full name, academic degree, academic rank, honorary title, place of work, position, address). Forms of the license agreement and permission for the processing of personal data of authors are placed on the website of the edition: http://npndfi.org.ua (page “To Authors”).